There are numerous ways to measure success for a specific company. Whether it is pure revenue based, maximizing capacity, or providing the best quality, each company has its own specific way of measuring its success. The article from industry week discussed the dangers a company has when they use financial-based planning. One example the article gave when discussing a poor financial measurement was inventory. In the world of accounting inventory is considered a current asset. A current asset relies on liquidity and more specifically so being able to convert into cash within a year. The problem with that definition is that it relies on the fact the inventory will eventually be sold. The article stated that, “High inventories therefore mean longer cycle times, longer lead times and less responsiveness to customer needs.” That quote essentially means that the more inventories a company has the ability to change becomes weaker. Cheap offshore labor as a method as cost savings was also mentioned as being expensive. In the books, cheap labor looks attractive as costs are being minimized and more products are being able to be made. However, with off shoring come defective goods. In my own experience, anytime I order something through Amazon which I know is coming from China I am taking a risk. 50% of the time my order will be completely defective. If not defective, the quality will be sub-par. That level of quality cannot be measured by a financial metric and as a result is not taken into account with valuating success on a revenue based level. The measures to which a company should measure their success as the article states (and I agree as well) are the three KPIs: Time, Material, and Energy. 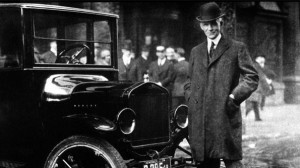 Henry Ford was a strong component of these measurements as he believed, “time, material, and energy are worth more than money because they cannot be purchased by money.” Taking into account that belief, there then becomes four major points consulted when making decisions and improvements. All four of those points touch on the certifications we have been talking about in class. While the six sigma is not discussed in the article, concepts of lean manufacturing are present throughout. In addition, ISO 14001 certification is mentioned. An example is given that it is not only wasting raw materials it is also wasting the scrap materials. Ford specifically showed this method that even though back in his time he could have thrown scraps in the river he instead decided to use it to make something else. This allowed him to maximize raw and scrap materials which led to cost savings. In accounting, and financial reporting that is never take into account. Through this article I really understood that while financials are important that should not be the only measurement used to determine a company’s success. 1.) What do you think is the best way for a company to measure success? 2.) Are resources such as time, energy, and materials equally important? Or does one stand out from the rest? 3.) What are some of your own personal experiences when ordering goods from overseas? Recently ride-share programs have been all the rage. I myself cannot remember the last time I took a cab. In my opinion these ride-share programs, and I will specifically be speaking on the behalf of Uber as that is the only one I utilize, have massively decreased the amount of money I spend on cabs. On a Friday night, I can get from downtown to Lincoln Park area for about $10-$12 which is far cheaper than the usual $20 with tip I give to cab drivers. The operations of Uber itself are quite unique and they have been as successful as they have found a way to thrive on the free-market system in the United States, as well as other countries in the world. There has been recent political pressure to shut-down the companies but it looks like those demands will not be fulfilled. Uber has morphed together the fast smartphone world of today as well as finding a massively over-priced market and have completely changed the world know to cab drivers. We all have had experiences were you sit in a cab feeling uncomfortable as they make no effort to talk to you, are on their phone talking the entire time, and the inside of the car is beat up. Uber has change that by operating a unique manner few have tried to do. The operations of Uber itself have always impressed me as they literally have a network of hundreds of thousands of driver and they have penetrated the global markets as well. I will always take Uber now over taking a cab, except for one instance. Surge pricing has always confused me and at times will annoy me to no end. Last season my friend and I attended a Blackhawks game and we took an Uber. Since it was snowing there was a surge pricing in effect; however, we failed to look to see the multiplier of the surcharge. Our ride ended up costing us about $60. At the time Uber was not super transparent about surge pricing but since then they have made it clear to the consumer by making sure to have the consumer actually accept the surcharge before the car is ordered. Another thought is if Uber’s growth will sustain itself, or will there eventually be too many drivers for too little of consumers? This in my opinion directly relates itself to our class in Week 4 where we were discussing forecasting. 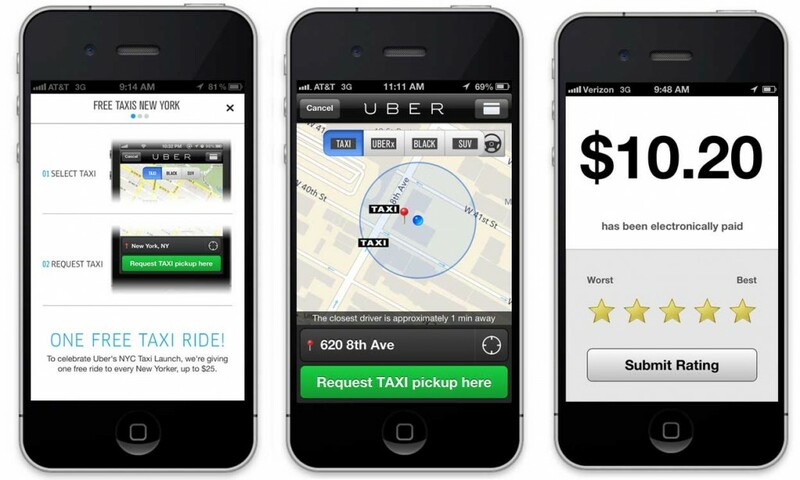 With a new company such as Uber being in a newly created market space it is hard to look to comparables. Using forecasting techniques such as weighted average will be useless as the amount of high growth will through of the long term sustainability Uber is looking to achieve. Other techniques such as Exponential Smoothing and Trend Projection will be useless as there is not enough years to look to when performing research. It will be interesting to see in the upcoming years if Uber avoids the over forecasting pitfall so many new companies do and continue to transform the car industry as we know it today. How would you go about and forecast Uber’s growth? Have you ever used a ride share program? If not, what would your reason be? Have you found the ride-share programs to be dramatically cheaper than cabs? What is your opinion about surge pricing? Is it a necessity for Uber to efficiently maximize profits or will it ends up hurting the company by turning away consumers?